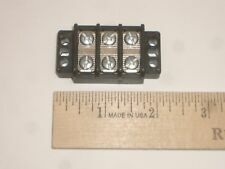 RadioShack 4 Position Dual Row Barrier Strip #274-658 New!!! Pin Pitch They are solidly constructed to allow repeated use and have an indented design to improve grip. We are here to help you in any way we can. Country of Manufacture Main Colour. 2 X Ceramic H4 Bulb Holder Housing with Cover. 1 X Ceramic H4 Bulb Holder Housing with Cover. 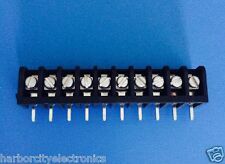 This is a 4-Position Dual Row Barrier Strip #274-0658 by RadioShack. Other info: Each position accepts two wires up to 16 gauge. Provides easy access to wires so you don't have to disrupt the circuit. 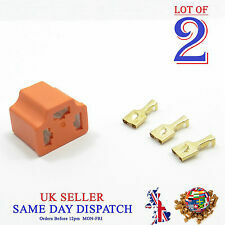 You are purchasing one wire connector. Marking: plain. Colour: white. During that process you will be issued with an RMA number. 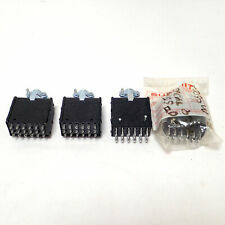 Up for Sale a New RadioShack 4 Position Dual Row Barrier Strip #274-658. Each position accepts two wires up to 16 gauge. Center spacing 3/8" (9.52mm). Colour: white. During that process you will be issued with an RMA number. Ideal for electrical wiring. Add to Favourites. 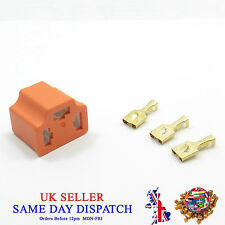 Supplied in heavy duty polybag with header card. View Our Categories. Base Material: molded black, UV rated 94VO thermoplastic. Center Spacing: 0.437" or 7/16" (11.1mm). Wire Range: #12-22AWG. 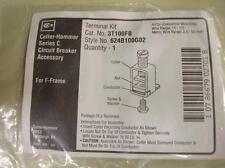 Mounting Holes: #6 screw. 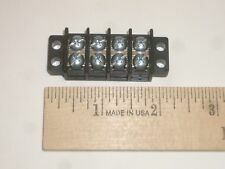 MAGNUM LP305302MP CONN BARRIER STRIP 2 POSITION 30 A 11.1mm Solder ST Thru-Hole 305302MP 43.94 x 16.5 x 14.22 mm BOX 749. Horizontal markings 51 to 60. During that process you will be issued with an RMA number. Base Material: molded black, UV rated 94VO thermoplastic. Center Spacing: 0.375" or 3/8" (9.52mm). Wire Range: #14-22AWG. Mounting Holes: #6 screw. Horizontal marking. White card with black digits. During that process you will be issued with an RMA number. Horizontal markings 91 to 100. During that process you will be issued with an RMA number. Horizontal markings 81 to 90. During that process you will be issued with an RMA number. Horizontal markings 71 to 80. During that process you will be issued with an RMA number. Horizontal markings 61 to 70. During that process you will be issued with an RMA number. Vertical marking. White card with black digits. During that process you will be issued with an RMA number. Vertical markings 61 to 70. During that process you will be issued with an RMA number. Plain markers. During that process you will be issued with an RMA number. White colour. During that process you will be issued with an RMA number. Horizontal markings 21 to 30. During that process you will be issued with an RMA number. Horizontal overprint. White colour. During that process you will be issued with an RMA number. Horizontal markings 11 to 20. During that process you will be issued with an RMA number.